Our troops are coming home after multiple deployments with emotional and physical needs. America’s Mighty Warriors recognizes they are not receiving the best care in a timely manner. We are dedicated to providing therapies that heal. We provide funding for those diagnosed with TBI to receive Hyperbaric Oxygen Therapy. We are also working with other providers whose therapies are helping with PTSD. We also host retreats for our wounded warriors and their families to provide recreation and resiliency. As our troops continue the fight on multiple fronts, many are experiencing Traumatic Brain Injuries (TBI) and associated Post Traumatic Stress Disorder (PTSD) from combat-related blasts. More than 750,000 of our troops and families are affected and sadly, many are not getting access to the treatment they need to heal the actual brain injury! Instead, symptoms are being addressed with medication while source of the problem goes untreated. The result, our troops are on medication for depression, anxiety, concentration, sleeplessness and pain. Individuals and families are being torn apart. Treatments are available to treat the brain injury but they are not prescribed by military doctors because they are not covered by insurance! America’s Mighty Warriors is collaborating with HBOT treatment centers around the country, HBOT stands for hyperbaric oxygen treatment. This evidence-based protocol for oxygen treatment that has been helping vets heal but it is difficult to access and is not covered by insurance. 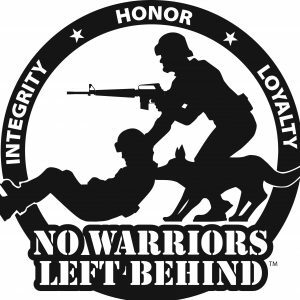 America’s Mighty Warriors is raising awareness and money to get our warriors access to this beneficial treatment and help our troops, vets and their families get their lives back after Traumatic Brain Injury.